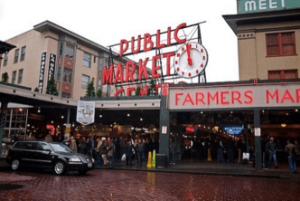 During these three days, you will visit the most popular spots in Seattle: from Pike Market place and the first Starbucks, to the infamous Space Needle and the Boeing Factory. And of course the most importantly, Seattle Premium Outlet, where you will find all the brands you are looking for. Assemble at the International Airport to start your pleasant flight to Seattle. Upon arrival, meet and greet with local guide, transfer to dinner/supper then proceed to hotel check in and rest. After enjoying breakfast in the hotel, depart for city tour of Seattle. 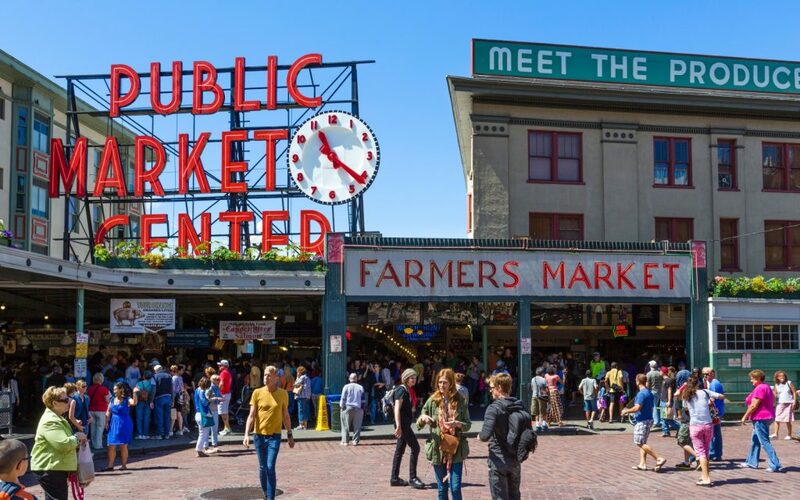 Visit Pike Place Market and observe the hustle and bustle of one of the oldest continuously operated public farmers’ market in the United States. Nearby, stop by the world’s Original Starbucks. Buy yourself a souvenir Starbucks mug to commemorate this once-in-a-lifetime visit. Taking the Floating Bridge to Bellevue where you will enjoy lunch at Crabpot, home of the Seafeast, taking a variety of fresh seafood, steamed with mouth-watering spices, poured on the table and served with butcher paper, a mallet, and bibs. Afterwards, visit Queen Anne Hill and stop at the viewpoint at Kerry Park, featuring panoramic views of Downtown Seattle including landmarks like the Seattle Space Needle. 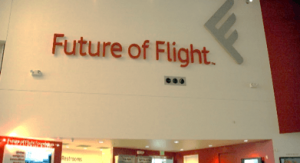 On your last day in Seattle, you must visit the Future of Flight Museum and take part in the Boeing Factory Tour. Take this one-of-a-kind opportunity to view Boeing 747, 777, and 787 Dreamliners being assembled before they take to the sky. 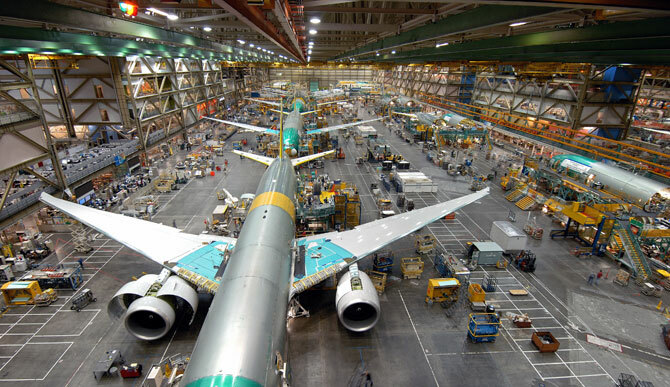 You will also learn fascinating facts about Boeing and their planes. En route back to Seattle, stop by the Seattle Premium Outlets for a shopping afternoon! With an upscale collection of over 130 designer names ranging from women’s apparel and jewelry to sporting goods, you will be sure to find something for everyone.